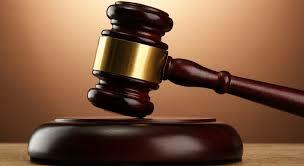 THERE was drama at the Kwekwe Magistrates Court on Tuesday when the presiding magistrate scurried for cover after an impatient accused person went berserk and threatened to beat him up for continuously questioning him. Albert Duche who was in the dock to answer to charges of unlawful entry and malicious damage to property became angry and threatened to beat up Mr Story Rushambwa saying he was tired of his continuous questioning. Allegations against Duche as presented by the State are that sometime in December, he went to Darren Coetze’s house in Newtown where he unlawfully gained entry into the premises. On entering, the State told the court, he started destroying property claiming the owner of the house owed him a substantial amount of money that was not stated in court. Police were alerted and they responded swiftly and arrested Duche whose docket was compiled and taken to court where he appeared before Mr Rushambwa. The magistrate repeatedly asked Duche why he committed the offence as he sought clarity from the accused. This however, did not go down well with Duche who turned violent, grabbed the microphone stand which he threw towards the magistrate. As if that was not enough he aggressively grabbed the remaining parts of the microphone and sound equipment and threw them into the gallery and scattering papers in the process resulting in people who were seated scampering for cover and stampeding for the exit. Prison officers however, reacted swiftly and apprehended the accused and whisked him away.